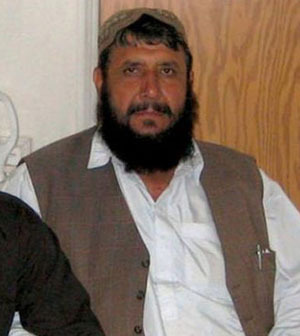 In October 2008, the Justice Department and the Drug Enforcement Administration heralded the arrest of Haji Juma Khan on narcotics and terror charges. His capture, they said, dealt a punishing blow to the Taliban and the symbiotic relationship between the insurgent group and Afghan drug traffickers. Yet, unbeknownst to all but the closest observers of the largely forgotten Afghanistan War, Khan was quietly released from Federal Bureau of Prisons custody last month. After nearly 10 years at the Metropolitan Correctional Center in Lower Manhattan, the terms of his release – like nearly everything else about his case – remain shrouded in secrecy. The secrecy reflects the U.S. government’s conflicted relationship with Khan. Before his arrest, the alleged drug trafficker worked with the CIA and the DEA, received payments from the government, and, at one point, visited Washington and New York on the DEA’s dime. After his arrest, federal prosecutors sought to link Khan’s support for the Taliban to a suicide bombing, as well as a separate attack on a Kabul hotel that killed one American. A trap set by the top DEA official in Kabul ultimately led to his arrest. Since 2012, the filings in Khan’s case have been under seal. As a result, it is impossible to determine whether he pleaded guilty to any of the charges against him, whether he received a sentence or was ordered to pay restitution to victims, or, upon his release last month, whether he was deported or allowed to remain in the United States. All this ambiguity suggests that Khan’s relationship with the government did not end with his arrest. The charges in the initial indictment carried a mandatory minimum sentence of 20 years. His release signals that he likely cut another deal, offering cooperation in the hope of obtaining a reduced sentence. Both the office of the U.S. Attorney for the Southern District of New York and the DEA declined to discuss Khan’s release. Khan’s attorney, Steve Zissou, also would not comment on his client’s case. Haji Juma Khan, 64, comes from Afghanistan’s Nimruz Province, along the border with Iran and Pakistan. 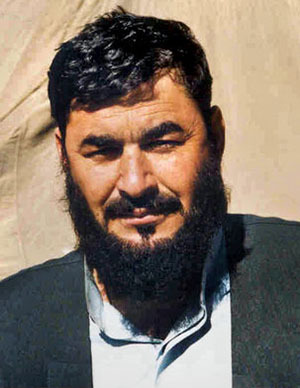 Law enforcement officials have described Khan as “Afghanistan’s biggest drug kingpin … and the leader of one of the largest drug trafficking organizations in the Central Asia region.” The Obama White House designated him as among “the world’s top drug traffickers.” Khan maintained close ties to the Taliban, providing money and weapons to the militants while running an empire that traded tons of heroin and opium, according to investigators. In 2008, the DEA lured Khan to Jakarta, Indonesia, where he was taken into custody and brought to New York. His case became a signature prosecution under a new “narco-terrorism” statute, touted in press releases and congressional testimony as a template for targeting the national security threat posed by the nexus of terrorism and the drug trade. “The Drug Enforcement Administration is tasked with fighting the drug trade. You see certain agencies of the U.S. government, namely often the CIA, getting in bed with or hiring or putting on their payroll people who are involved in the drug trade, whether it is Ahmed Wali Karzai or Haji Juma Khan,” Peters told The Intercept. After the collapse of the Taliban government, U.S. forces were forced to confront the reality that Afghanistan was not simply a religious autocracy, but also a narco-state that generates between 2,000 and 9,000 metric tons of opium each year. A handful of traffickers dominated the drug economy, including Haji Bagcho Sherzai, Haji Bashir Noorzai, and Haji Juma Khan. 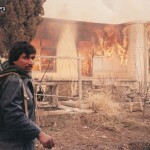 Each of those three men would be targeted by the DEA and federal prosecutors; Sherzai and Noorzai were tried and convicted in federal court and sentenced to life in prison. Khan is the outlier: His case never went to trial, and the outcome remains a secret. Over the last decade, Khan only appeared in open court three more times, including once to plead “not guilty” to a superseding indictment brought by the government in April of 2009; his final public hearing occurred a year later. Yet at least one account undermines the notion that Khan’s arrest was part of a coherent policy. In his 2015 memoir, “The Dark Arts: My Undercover Life in Global Narco-Terrorism,” Edward Follis, the DEA’s Kabul attaché who became close to Khan, recounts the competing objectives that led to Khan’s arrest. In the summer of 2008, according to Follis, the Defense Department had placed Khan on a “kinetic list”— a list of targets for military strikes — and sought the agent’s help drawing Khan to a remote location where a drone could strike with little collateral damage. Follis, by his account, wanted to spare Khan’s life, and instead created a ruse to draw the Afghan to Jakarta where he could be rendered into U.S. custody. “I’d always envisioned the inevitable endgame being HJK in my custody — in a federal prison cell — continuing to provide valuable and actionable intel that could save American lives, perhaps lead us to UBL or other high-ranking Al Qaeda and Taliban leaders, not charred to death in a smoldering Toyota on a red-dust highway somewhere in the province of Nimruz,” Follis wrote. Khan’s case, like the war in Afghanistan itself, has dragged on for years; yet it is unclear what end, if any, has been served. In 2017, the amount of Afghan land seeded with opium was higher than ever before at nearly 328,000 hectares (about 810,505 acres), according to the United Nations Office on Drugs and Crime. In Nimruz, Khan’s home province, poppy cultivation increased 116 percent over the previous year. More than 14,000 U.S. troops remain stationed in Afghanistan; the Pentagon projected the war will cost $45 billion this year alone. On Monday, one American was killed and another wounded in a combat operation in eastern Afghanistan; also killed or wounded were an unknown number of Afghan troops.